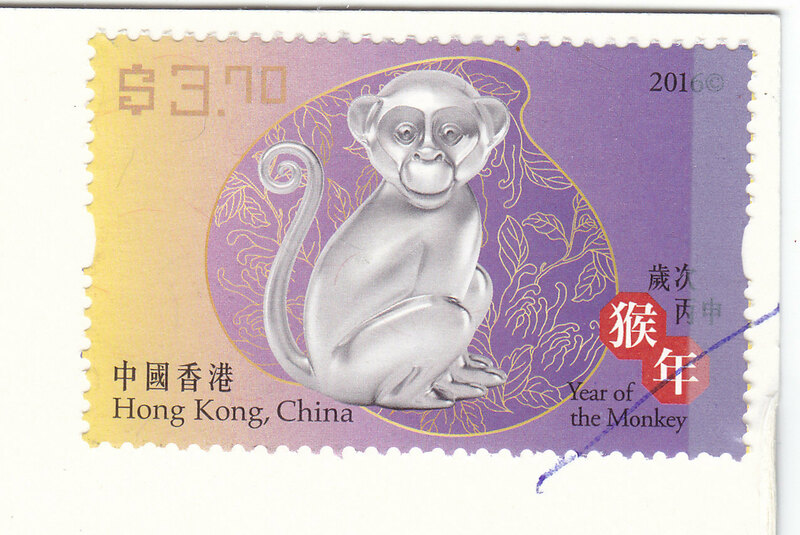 Postcard HK-398848 from Hong Kong features Horologium, a faint constellation in the southern sky with only one star, Alpha Horologii, an orange giant, brighter than apparent magnitude 4. The constellation was first described by French astronomer Nicolas Louis de Lacaille in 1752 as l'Horloge à pendule & à secondes (clock with pendulum and seconds hand.) 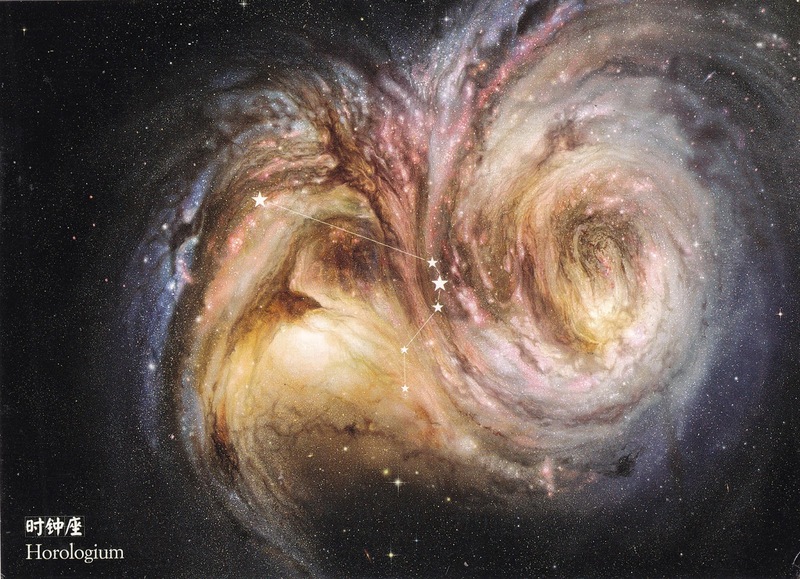 It is one of the 88 modern constellations. 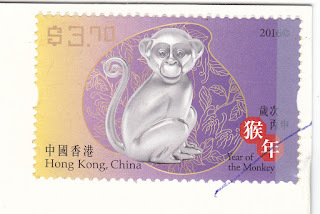 The card came with one of the Year of the Monkey stamps issued by Hong Kong Post.